I heard a commotion on Sunday afternoon, and saw some people across the street all staring at the intersection a few houses down. In the middle of the street was a loud protest with yellow signs. I didn’t have a picture of the day yet, so I ran to my room, grabbed the camera and my keys, and proceeded to follow the protest for a few blocks for pictures. 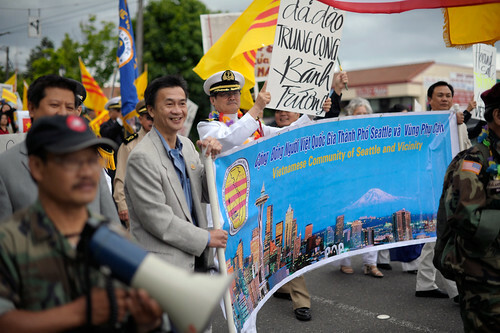 From what I could tell, it was the Vietnamese community from Seattle-Tacoma area protesting against China. 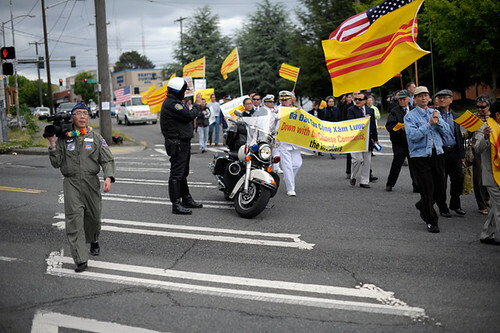 when I got in, I took a look on Google and found out that it was planned in solidarity with rare protests happening in Hanoi. Wild, huh. This is what I saw coming through the intersection near my house. 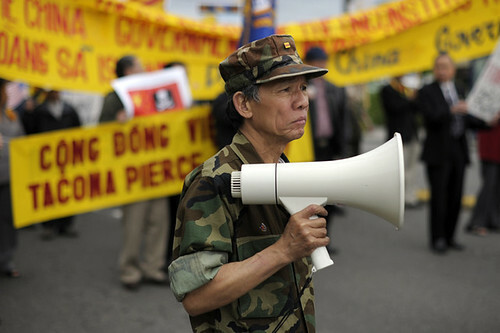 This guy spent much of his time shouting into the megaphone. I don’t know exactly what he was saying, but he was emphatic. 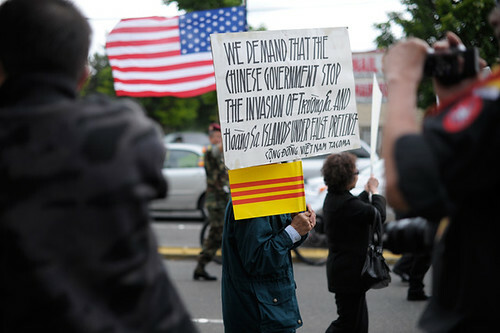 A lot of the participants were shielding their faces with their signs from the photographers/videographer. 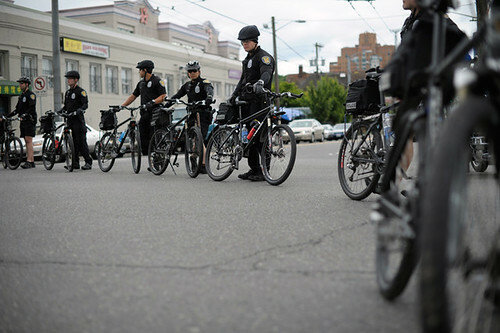 SPD was there and was very helpful in keeping the protest safe from drivers. The intersections can be nasty in my neck of the woods.